These Keto Brownies are the ultimate keto-friendly, dairy-free, and paleo-compliant dessert! 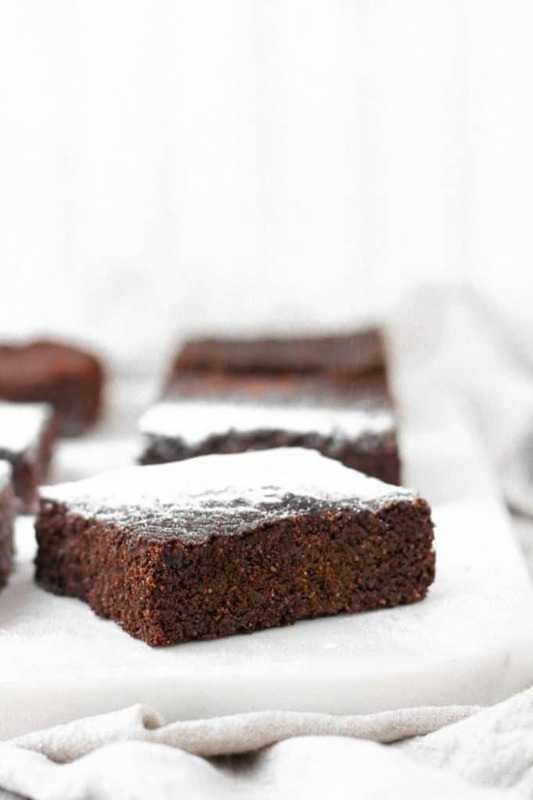 Deliciously fudgy and chocolatey, they are sure to be a hit! I am a total sucker for brownies. They involve my two favorite things: baked good + CHOCOLATE. Yep, sign me up! Since I began following a ketogenic way of eating, I hadn’t enjoyed a brownie, so this recipe has been longggg overdue. Finally, after some alterations, I can say that this recipe will forever be on repeat in the Nelson household. Fudgy, Chocolatey Goodness Keto Brownies! 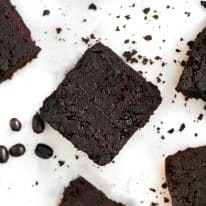 These Keto Brownies are low in carbs, but full of all of the flavor and texture you love about brownies! I tweaked this recipe multiple times to ensure that the result tasted like traditional store-bought brownies, but could remain dairy-free. 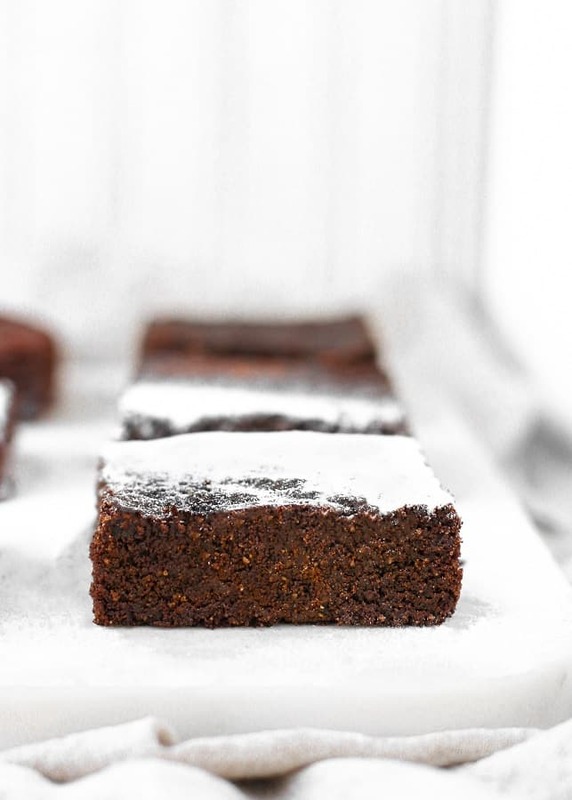 For anyone with a dairy or lactose allergy or intolerance that also loves brownies, this recipe is sure to become an instant favorite! One serving contains 2.3g net carbs per serving. This recipe is keto, low-carb, paleo, dairy-free, vegetarian, gluten-free, grain-free, and refined-sugar-free. 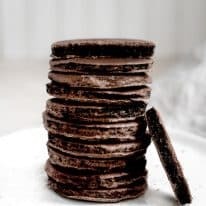 Looking for other low-carb and keto friendly dessert recipes to prepare for your friends and family? Browse through dessert recipes for inspiration. 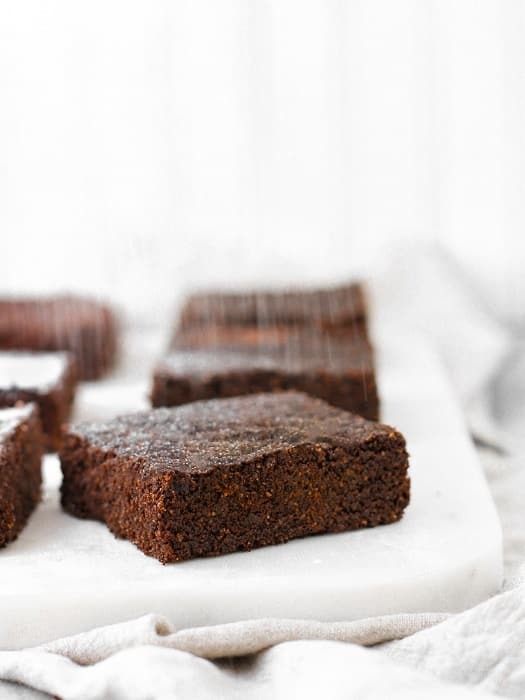 These Keto Brownies are so fudgy and delicious! This recipe is keto, low-carb, paleo, dairy-free, vegetarian, gluten-free, grain-free, refined-sugar-free, and only 2.3g net carbs per serving! Preheat oven to 350 degrees and line 8×8 baking pan with parchment paper (use enough parchment paper that the edges fold outside the rim of the pan). In a mixing bowl, combine dry ingredients and whisk until well-combined. To dry ingredients, add melted coconut oil and beaten eggs and mix with electric mixer. Slowly add almond flour and continue to mix with electric mixer until fully-incorporated. Using a rubber spatula, scrape mixture into prepared baking pan. Bake for 20-25 minutes. Remove from oven after checking that a toothpick can be poked into center of brownies and comes out cleanly. Allow to cool, remove brownies from pan by pulling at edges of parchment paper, and cut into desired size. Optional: pulse 2 tbsp monk fruit sweetener in blender to powder and dust powdered sweetener atop brownies. Now it’s taking much longer to bake. Is the batter supposed to be thick or pourable? Hi, Mary Ann! The instruction saying to “pour” was poor wording on my part, apologies! It should be scrape, as the batter will be very thick. I have updated the instructions to reflect that. How did it turn out with the additional liquid in there? 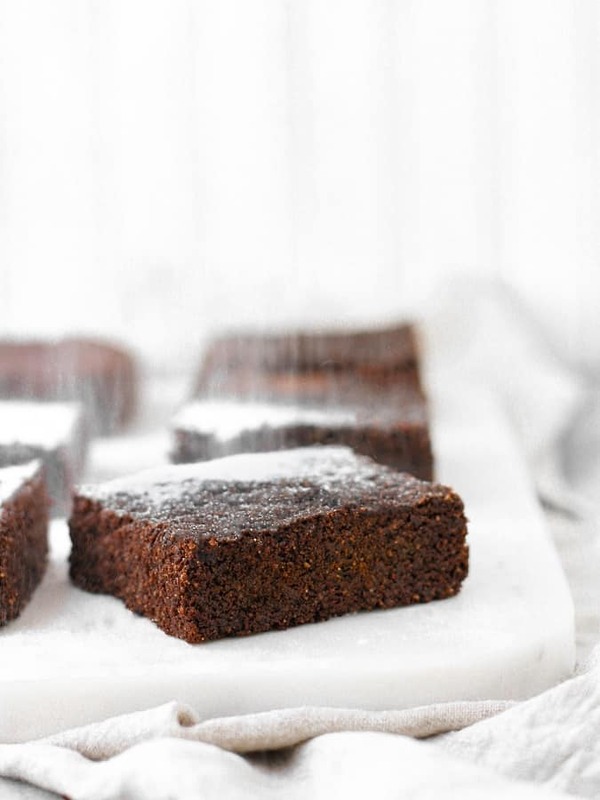 I just made this recipe (subbing the cocoa for cacao and the golden monkfruit for the classic) and it was even better than I thought it would be for a sugar free brownie! But, just so you know, we called the company for the monkfruit sweetener you reccommended, “Lakanto”, and found out that it contains erithrotol which is made from corn (and in some cases tapioca). So wouldn’t it not be Keto anymore? I just wanted to let you know of this newly found info. ? So glad you enjoyed, Lauren!!! 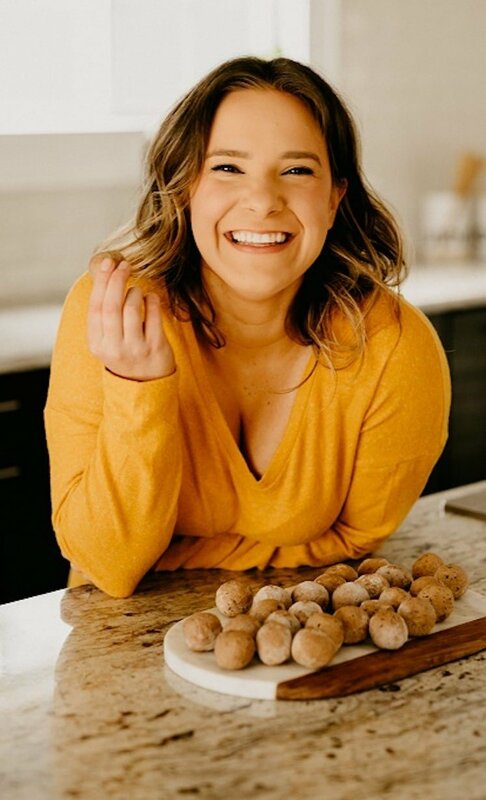 And, a ketogenic diet is very personal and everyone’s diets look very different; the goal of a ketogenic diet is to reach and maintain ketosis. So, if you choose to incorporate erythritol into your diet, great! If not, that’s great too! I personally love and use monk fruit sweetener every single day and remain in ketosis. I am genuinely thankful to the owner of this web page who has shared this enormous paragraph at at this time. can you use coconut sugar in place of the monk fruit sweetener? Yes, but they just won’t be low-carb/keto then. hi, Angela! The two eggs and melted coconut oil should be enough liquid! I did just go in and rephrase step #4 so that it is more clear. Thank you for that feedback!! I hope yours worked out with the addition of the almond milk (I would think they would!). I started Keto a few weeks ago and I’m really enjoying your recipes. But, I’m allergic to almonds so I can’t make recipes using almond flour. Is it possible to use coconut or pecan flour or do you have recipes for alternative flours? I’d appreciate it very much. hi, Tannia! Thanks so much for your comment! So, nut flours and coconut flour are all very different, so I can’t say for sure how well they would replace one another in specific recipes. 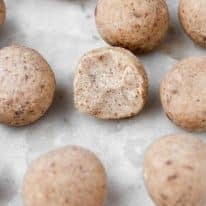 I do have a Fudge Fat Bombs recipe that uses coconut flour (you can sub the almond butter for another nut butter of your choosing). I really appreciate that feedback and am going to work hard on getting more nut-free recipes tested and developed!